Two years ago, a killer stalked the streets of Boston, and reporter Harry Temple covered the case. After an informant gave Harry the criminal's identity, the police ordered him not to run the story—but he did anyway. The killer fled the city, and Harry has been on his trail ever since, hunting for a chance at redemption. Now, Harry is in Abilene, Kansas, with a burden on his shoulders and a news clipping in his pocket. A woman has been strangled, and the perpetrator left a calling card that is all too familiar. The town council is hoping to keep the story quiet, and the police are on high alert as they wait for the madman to strike again. But Harry doesn't have time for that. 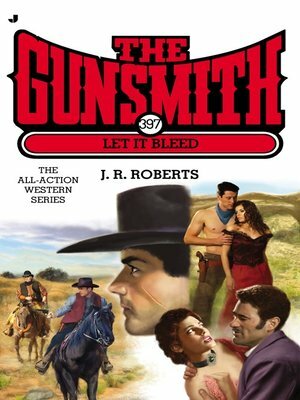 Luckily, there's one man in town who can help: Clint Adams, the Gunsmith.